Declan Thomas’s body temperature is dropping. He never gets sick, never feels pain. An ex-inmate of an insane asylum that was destroyed in a fire, he has the strange ability to step inside a person’s madness – and sometimes cure it. He hopes to one day cure his own affliction, but time is running out, as a demonic predator pursues him through a nightmarish, twisted version of Boston. Colder was nominated in 2014 for an Eisner Award in the Best Limited Series category; it was a Bram Stoker Award finalist for Best Graphic Novel that same year. 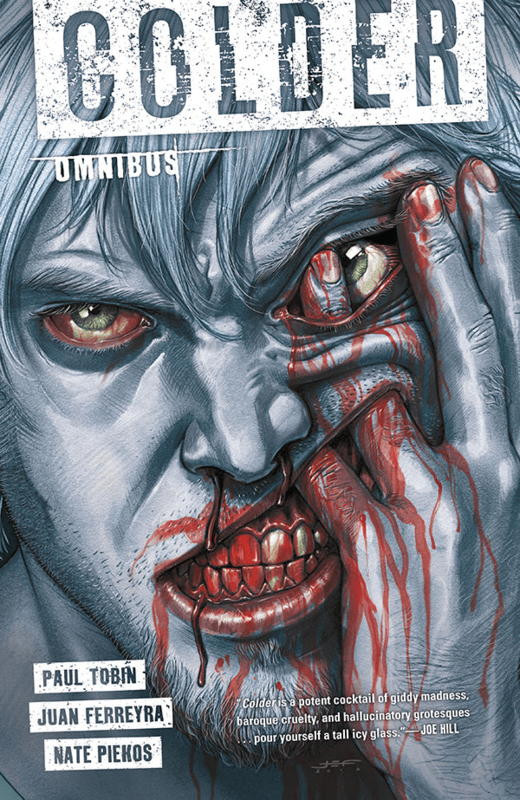 Written by Paul Tobin, art by Juan Ferreyra.